The most difficult decision you will ever have to make in your life is to choose your career. There is no doubt that career plays a crucial role in our lives. It is the thing which can either make our life or ruin it completely, so making a right choice at the right time is very essential. We all want to be successful and happy. And, it is just amazing to choose a profession where you can make money and help others too. We all know that such professions are rare and need lot of hard work. One of the most respected professions is medical field. These universities offer the best and high quality education. The degree provided by these universities is recognized all across the world. These universities have high level of accreditation. Which is the best place to study? 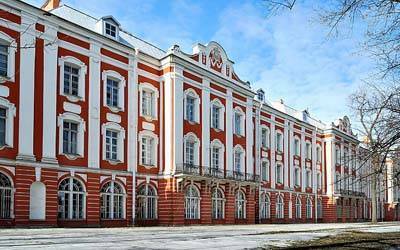 The best university to pursue higher education is Saint Petersburg State Medical University I.P. Pavlov. The university is delivering quality education from 1987. At that time, university was founded as a Medical Institute for Women. Saint Petersburg State Medical University I.P. Pavlov was the first institution to offer the wonderful opportunity to women to study higher and make their career. In today’s time, the university has become the topmost medical leading center in Russia. In year 1994, the name of the institute was changed to the present name of the university. What are the Institutes and Research centers run at Saint Petersburg State Medical University I.P. Pavlov? Six year course for Medicine which qualifies you as a Physician (Specialist, MD). Five year course for Dentistry which qualifies you as a Physician in Stomatology(Specialist, MD). 6 year course in Pediatrics which qualifies you as a Physician in Pediatrics(Specialist, MD). The university trains you to become a professional doctor by teaching you every concept in detail and practically, as having a good practical knowledge is must for doctors. The fees of the 6 year program of MBBS is 4500 USD per year and the hostel accommodation fees for one year is 600 USD that makes the complete fees for one year 5100 USD. The fees for whole six years become 30,600 USD. All the courses are taught in English language by keeping in mind the ease and convenience of foreign students.